River Gwash Trout Farm is one of the newest trout farms to be built in the country in the last 20 years. 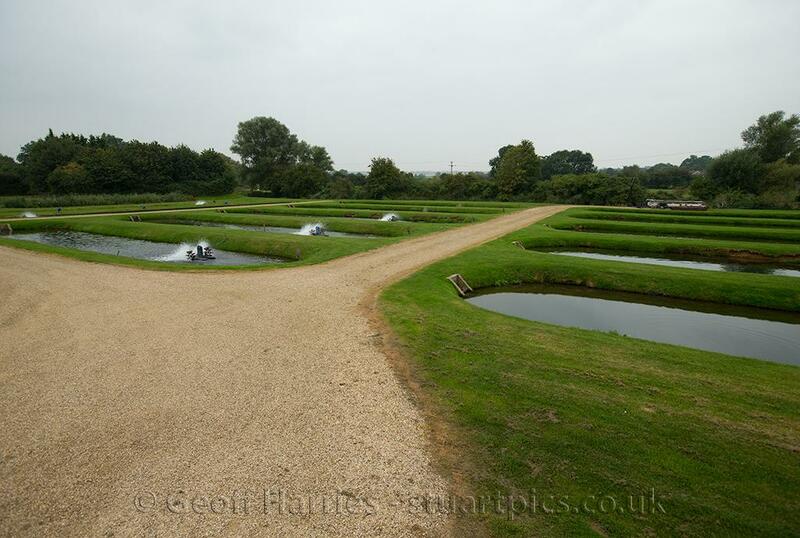 Constructed in 1998, on an old water meadow in a beautiful corner of Rutland, it gave its owners Lawrence and Vicki Ball the opportunity to design and build a trout farm purely with the production of premium restocking fish in mind. The fish farm and the production techniques it uses places a particular emphasis on sustainability and the environment. The extensive sedimentation area and reed bed ensures that the water from the farm is returned to the river in excellent condition and the entire site has been designed to blend well into its surroundings whilst providing a haven for wildlife. Calling all nature lovers & photographers! We have a nature hide available to rent at our Horn MIll Trout Farm site. Perfect for intrepid nature lovers. Photographers have the chance to capture those special moments up close, such as a world famous Rutland Osprey feasting on our trout. 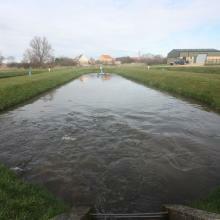 The River Gwash provides a constant supply of crystal clear water with an ideal temperature range for the production of Rainbow Trout. 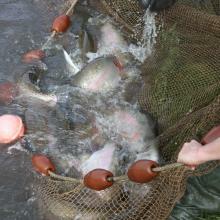 The long narrow earth ponds with high flow rates and low stocking densities create the perfect environment for producing the long fully fined hard fighting fish that we are renowned for, and, coupled with a supply of healthy fingerlings from our own hatchery, ensures a high level of Biosecurity throughout the business. 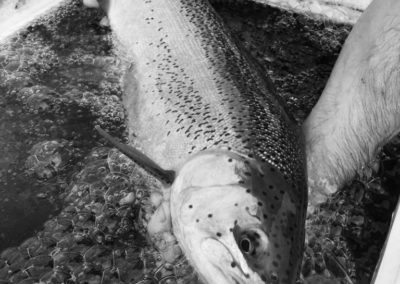 With over 50 years experience of the industry the staff ensure that River Gwash Trout Farm continues to maintain its reputation and standards. Suffolk Fly Fishers Club had been dealing with River Gwash Trout Farm for a good few years before I personally got involved with ordering, some 10 years ago. When I took responsibility, the quality of fish from Lawrence was consistently better than the other trout farms we used. We took the bold decision to drop the other suppliers and take all our fish from him. We have never looked back. To cut to the chase, we know that we will be guaranteed perfect, fully finned and tailed, healthy fish offering the best sport for their sizes. The Committee and I are proud to offer our members the best trout we can get our hands on at a price that suits our budget. Congratulations and Thank You to Lawrence and Jamie for the outstanding service they provide and for offering varieties of quality Rainbows that more than satisfy our expectations. 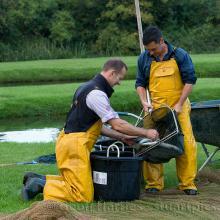 Please get in touch and we’d be very happy to discuss your fish stocking requirements. It was four years ago that the committee of Errwood Fly Fishing Club set out to improve all aspects of our members club, something we are very passionate about. Top of our list of priorities was of course the fish, so we set about trying to find a supplier who could deliver the quality and value of fish that could match our aspirations. This I am delighted to say, we found in the shape of River Gwash Trout Farm. From day one, we found the staff very helpful, with Lawrence and Jamie always on hand to offer advice on all aspects of fish welfare and stocking methods and they both have been exemplary in their approach to customer service in so far as, nothing is too much trouble. 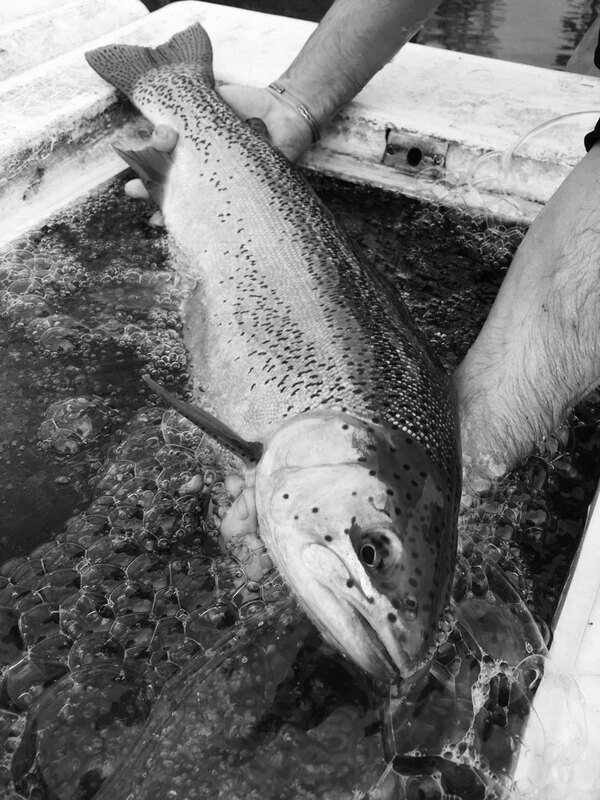 We regularly seek feedback from our members on the quality of trout, and this has without exception, been a positive endorsement with a full appreciation of the fully finned. hard fighting fish they have encountered, and plenty of occasions where fly lines have been stretched to the backing! Suffice to say, I would have absolutely no hesitation in recommending River Gwash Trout supplies to any prospective client, as they will encounter a business that is run by people that are passionate about this sport of fly fishing.